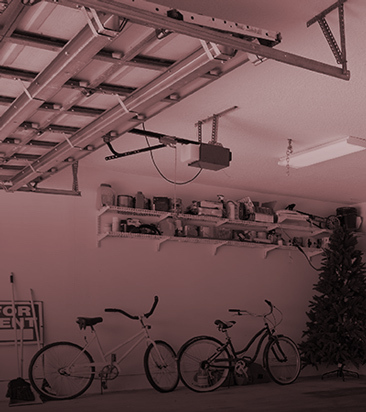 Dealing with broken garage door springs is a hassle for everyone involved. Sometimes the garage door springs break when you’re getting ready to leave for work, which traps you in the garage and sometimes they decide to break when you’ve just gotten home from a long day. Regardless of the time, you’re faced with a garage door spring repair, 24/7 Garage Door Service will be there to lend a hand with our garage door services. First, your garage door has a few different types of springs in it. There is the torsion spring system and the broken extension spring system. If you have no idea what either of those may be, then that’s okay. You can use some of these signs to figure out what type of repair situation your garage door is facing. If any of these common signs are happening to your garage door springs, then it’s time to call a garage door service. If you have no idea if any of these common signs are happening to your garage door, then check it out the next time you use your garage door. As an expert garage door service, we are experienced in fixing garage door springs. Additionally, we can assist you in finding a new garage door for your home as well as locating the best garage door opener that’s energy efficient and well-priced. 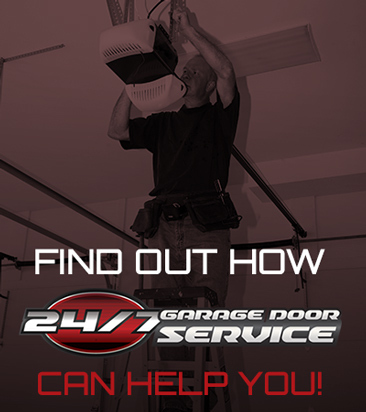 24/7 Garage Door Services can help you regardless of the time of the day or the garage door problem you may be facing. When it comes to garage door springs, we’re experienced in the different types of springs and what makes a garage door tick. Even if you can’t identify the problem at hand, just let us know what’s going on and we’ll come out with the proper tools to remedy the issue. Due to our consistently available garage door services, we’ve created outstanding and quality products that will allow you to get out of your garage without a hassle. Regardless of the time of the day your garage door breaks, we’ll be there in a jiffy to save the day. For more information about your garage door services, make sure to reach out today to request a quote for our service. When you have noticed that something a little bizarre is going on with your garage door, then it’s time you reach out to a garage door service. When you’ve watched your garage door creak open or jerk close, research the best garage door service in your area. You’ll find 24/7 Garage Door Service is up there for the most reliable, expert service in the Oklahoma City area. Once you’ve made your decision to contact us via the form at the bottom of the page, we’ll be at your residence in a jiffy to inspect your garage door.